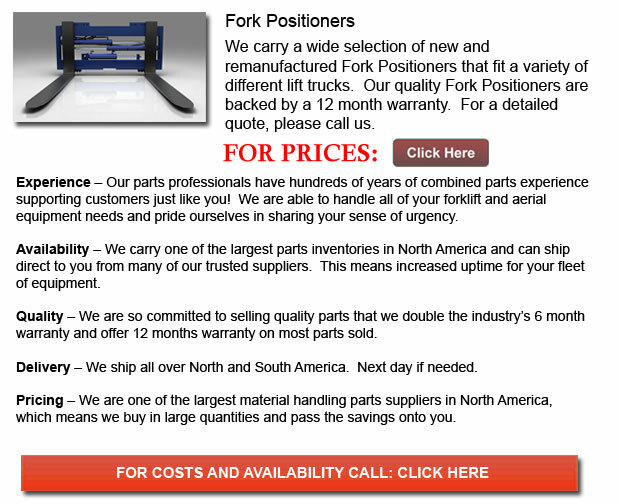 Forklift Fork Positioner - The fork positioner is a hydraulic device that can allow the individual driving to be able to operate the forklift without leaving the seat. They are constructed out of high quality materials and are meant to withstand the most demanding operations and work environments. Side shifting units have the extra ability to laterally position the arms or the entire load in order to facilitate more exact carrying and placement in a quicker and much more efficient manner. The blade pocket is somewhat unique and can enable the individual operating it to be able to securely sway the forks into position without any fear of damaging the positioning cylinders. This could allow the driver the alternative to be able to execute simultaneous or independent fork movement, depending on the requirements of the job. For most lift trucks with non-OEM carriages, complete carriages are necessary. Standard OEM carriages could be transformed into blade positioners on existing units.